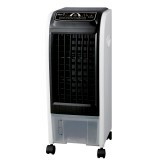 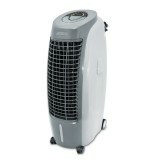 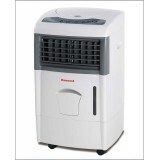 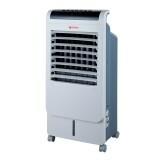 Honeywell CL151 Air Cooler Indoor portable evaporative Air Cooler with full function Remote Control LED control panel with 3 Speed Selection Adjustable Humidification Level with Ionizer 7.5 Hour Timer 15L Water Tank Capacity and cools up to 160sqft Top loadi.. 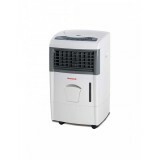 Features Indoor portable evaporative Air Cooler with full function Remote Control LED control panel with 3 Speed Selection Adjustable Humidification Level with Ionizer 7.5 Hour TImer 15L Water Tank Capacity & cools up to 160sqft Top loading ice compartmen..
Indoor use cools up to 250 sqft. 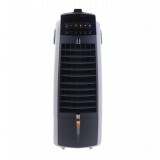 (works best in areas with low humidity) Cooling media for optimum cooling Powerful 500CFM air flow Enerfy Efficient- low power consumption of 230 watts Non- compressor system cools naturally, efficiently & inexpensively 6.6 ga..
Up to 12 Square Metres Quiet Sleep Mode- 25db Whisper quiet sound 2.7W, Extreme Low Power Consumption Turbo Blast Mode- 206CM; 36W Low Power Consumption Honeycomb cooling media for optimum evaporative cooling Watertank filters unwanted particles for better efficiency .. 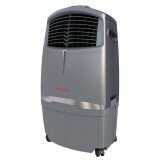 FEATURES Honeycomb cooling media for optimum performance 4 Speed: High Medium Low Sleep LCD control panel 0.5 to 8 hours timer Adjustable humidification level Mounted with castors for easy mobility 30 litres water tank capacity Det.. 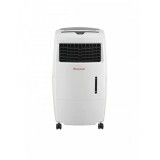 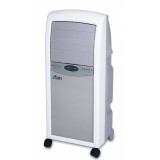 Remote contrWithin 6 meter range Setting speed: Low , Mid , High ABS Material Water tank capacity 7L 3 Years Warranty on Parts and Labour and 5 Years on Motor Warranty ..
iFan IF7880 Evaporative Air Cooler Built-in air ionizer, anti-static dust filter 3-speed setting, 3D oscillation Mode: normal natural sleep Automatic oscillation control Remote control fu.. 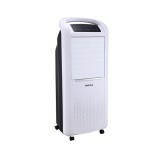 Does not require sealed environment to function, may use with doors open 15L indoor portable evaporative air cooler with full function remote control Non- compressor system cools naturally, efficiently & in expensively Built- in lonizer Low water alarm Mode: ..
Sona SAC6029 Remote Air Cooler (Touch Screen) 220-240V~ 50Hz 100 Watt Flip Cover Safety Design Hugh Air Flow … 480m3/Hour Ionizer for Purifying of air 12 Hours Timer Humidifying Function Safety Motor Protection Low Water Level Pump..
Sona SAC6301 Remote Air Cooler 220-240V~50/60Hz 60Watt Multi-Function: Fan, Humidifier and Air Purifier Thicker Honeycomb for Enhance Cooling Effect Breeze Wind and Ionizer Function 7L Patent Water Tank Big Handle and Universal Wheel F..